Most people think that as an office gets bigger it is naturally more difficult to control the efficiency but we see this issue is small practices as well. Regardless of the office size or type there are certain standards that need to be established and made priority by each and every staff member. You need to develop an elite team of dedicated and committed people to help satisfy the goals of the practice. The goals of every single dental office are the same: Take care of the patient first by satisfying their needs, wants and desires and do it efficiently so that at the end of the day the business is profitable and the staff members are happy. How do you define this group of elite persons that are necessary to run the office properly for maximum productivity? It’s the same regardless if we work in a General Dental Office or an Orthodontic Office or anywhere in between. A dedicated group of people are those who work well together and can rely on each other when times are tough in the office. We all know there are times when the phones are ringing off the hook and it is next to impossible to take care of everything up front efficiently. A great staff are those who will help answer the phones or do front office duties even when it’s not their primary responsibility. Likewise, when the back is running behind there will always be someone there to help them clean up and get set up for the next patient. This is particularly difficult in a General Dental Office though because there is an unspoken culture where the Assistants will help each other and the Hygienists will help each other but not vice versa, for example. But it’s hard work keeping everyone on the same page. 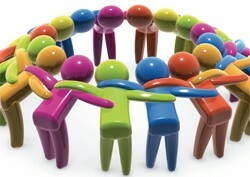 It’s challenging and difficult to keep a group of people determined and dedicated and its easy to get despondent. Not to mention keeping them motivated. Quarterly planning or team retreats seem useful at the time, but somehow the focus and energy slip away soon after. If only you could maintain that enthusiasm and passion. Some teams seem to do it, so what’s the trick? Well, a lot of Practice Management gurus will agree the trick is to start the day right, each and every day. And that means starting the working day with a morning huddle. It’s a simple tool that I use to increase team productivity. Substantially. Yes, it’s a meeting, but not like any meeting you’ve ever had before. It’s a short, intense, daily meeting that cuts past distractions, aligns everyone on your goals and inspires every team member. Here’s everything you need to know about how to run an effective morning huddle.